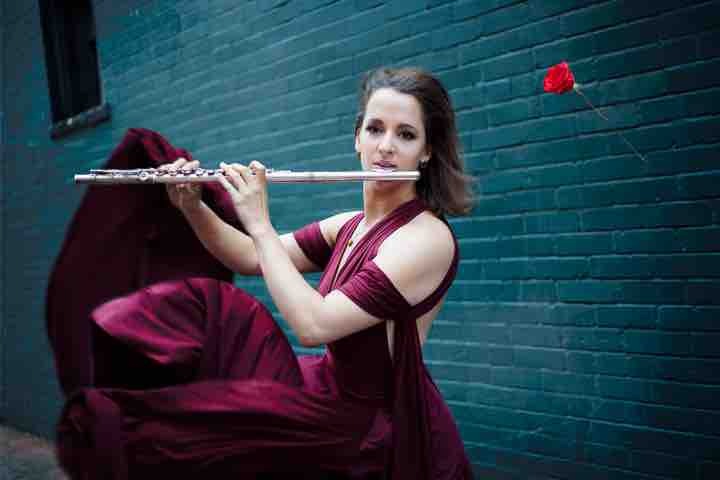 Flutist and integrative education specialist Emma Shubin has been joyfully making music her whole life. A trained Dalcroze and Suzuki Flute teacher, she has a passion not only for connecting to audiences from the performing stage, but also as a teaching artist specializing in developing communication, chamber music, and musicianship skills. She enjoys working with students of all ages and levels, from private lessons to sectionals, group workshops to school classrooms, Suzuki institutes to businesses, and university masterclasses to professional music ensembles. Miss Emma’s goal is to help each student find their voice and freedom of expression through the language of music. She is the founder and director of Integral Steps, a local Louisville nonprofit dedicated to promoting the balanced development of individuals, families and communities through music, movement, psychotherapy, ecology and creative arts. As Coordinator for New Programming with the Dalcroze School of the Rockies, Ms. Emma is thrilled to be apart of the Longmont Dance Theater Academy community and growing their Dalcroze Education curriculum.